Fighting for survival in a shattered world! the truth is her only hope. The thrillingly dark sequel to New York Times bestseller, DIVERGENT. I have done bad things. I can't take them back, and they are part of who I am. Tris has survived a brutal attack on her former home and family. But she has paid a terrible price. Wracked by grief and guilt, she becomes ever more reckless as she struggles to accept her new future. 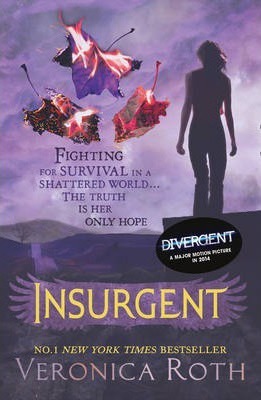 Yet if Tris wants to uncover the truth about her world, she must be stronger than ever! because more shocking choices and sacrifices lie ahead.